The Washington International Insurance Company, along with North American Specialty and North American Elite, are wholly owned subsidiaries of the European based Swiss Re Company. Swiss Re is an insurance industry giant specializing in reinsurance, taking on part or all of the financial risk of other insurance organizations, referred to as ceding companies. Being a part of the Swiss Re group gives Washington International and its sister companies extraordinary financial strength. For office locations and contact information, please visit the NAS contact page. In the United States, Washington International operates as part of NAS Surety Group, which includes North American Specialty and North American Elite. NAS Surety underwrites contract, commercial, and customs bonds covering dozens of different private business and government services. 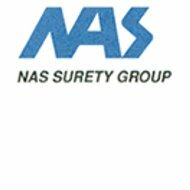 NAS Surety is one of the top 15 U.S. surety companies and licensed to issue bonds in all 50 U.S. states. PDF copies of NAS Surety bonds are available for inspection on the company website. Commercial bonds include bonds, which guarantee licenses and permits as well as miscellaneous situations. NAS also underwrites bonds for court, fiduciary and other legal matters. Specialty types of bonds include surety protection for auto dealers, mortgage bankers, and brokers. These include bonding against lost legal instruments. Customs bond services include single and multiple transactions and transportation coverage. Customs bonds have been the specialty of Washington International Insurance Company for more than twenty years. Washington International partners with the US Customs Service to provide bonding for thousands of items that enter the US every day through more than 300 official ports of entry. For more information about customs bonding with Washington International, call 800-338-0753. Swiss Re, the parent company of NAS Surety was founded in 1863 in Zurich, Switzerland. Swiss Re is recognized as an international leader in the reinsurance industry with offices operating in more than 20 different countries including the US. Swiss Re provides risk management services as well as traditional reinsurance products to its global marketplace. Swiss Re has won numerous industry awards throughout its long and storied history. This year, 2011, is no exception. In September, Swiss Re CEO Stefan Lippe was awarded the prestigious title of “Reinsurance CEO of the Year,” by “Reactions” magazine, an international magazine devoted to the insurance and reinsurance industries. Lippe was selected in recognition of his success in putting his company on a more positive financial track since his election in 2009. It is because of leaders such as Stefan Lippe, that Swiss Re has remained in business for almost 150 years.